Initially, Breach appears to be a fairly straightforward action RPG with some lite MMO touches. Choose your class from a variety of melee/ranged/support templates, customize the appearance of your character, then hop into an initial gathering hub. After I played through my first match, though, it became clear that QC Games' ambitions for Breach go far beyond what is "the usual." 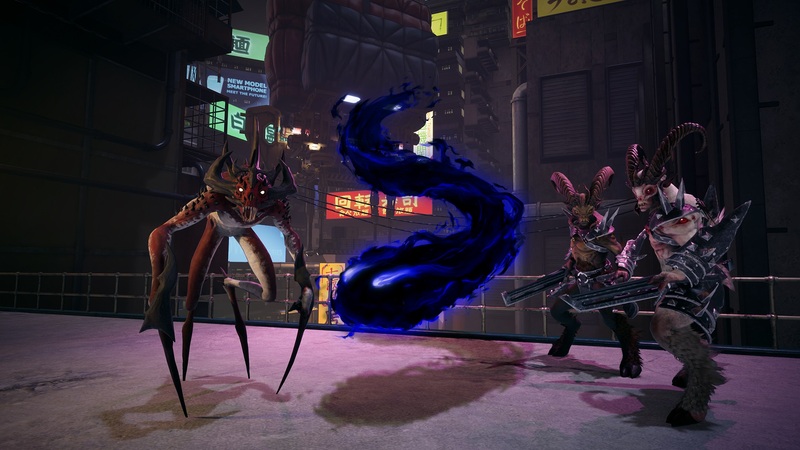 They have blended elements from a variety of games (Devil May Cry, Monster Hunter, Heroes of the Storm, Evolve) and genres into a new format that feels both familiar yet wholly unique. The standard Co-Op match lets you and up to three friends (or three strangers via matchmaking) team up to battle your way through 7 rooms in a dungeon. The first 6 rooms will be challenge rooms with different objectives to complete within a certain time limit - such as defeating all the enemies, or securing certain points in the room - and the final room will be a boss. That's the straightforward part and here's the twist: you're competing against an A.I. "dungeon master" (called the "Veil Demon") that is actively trying to prevent you from clearing those challenges. At the top of the screen there is a team experience bar (similar to what you'd find in a MOBA) that represents the overall level of the heroes and the Veil Demon. If the heroes successfully beat the challenge in a room, their experience bar will fill. If they fail to complete the challenge, it will fill for the Veil Demon. Once a side gets enough experience to "level up," that side will be able to select one of three new talents/passive abilities, such as getting a protective barrier if you avoid taking damage for a few seconds or adding some new effect to one of your active abilities. Playing as the heroes, you'll definitely want to get as many of these talents as you can to ensure you have the strongest advantage possible when you go up against the final boss. Win or lose, though, all players will get some amount of gold and character experience once the match is over. The gold can be used to purchase new characters to play, and the character experience will open up new customization options. That's the broad strokes of what Breach is, but the beauty of it is in the finer details. Progressing through those rooms is vastly different depending on what class you're playing. If you're the Auros Gladiator, you'll be attempting to string your abilities together in long combo chains that's very reminiscent of Dante from Devil May Cry. If you're the Exorcist, you'll be shooting at enemies and applying debuffs that increase the damage you deal. Support classes like the Arcane Mender will be more focused on healing teammates while Specialists like the Chronomancer will be moving around the room debuffing enemies and applying a haste buff to allies. Play style can vary greatly from class to class and while you're only given a handful of abilities at first (one basic attack, one signature attack, three other abilities, and an ultimate attack), the more you play a particular class and level them up, the more you'll be able to customize their particular gameplay. There are 18 different classes in the game divided up into 6 "schools" (e.g., Arcane, Tech, Battle, etc). As you hit certain level milestones for a class (e.g., level 4, 8, etc), you'll be able to swap out some of your abilities with new abilities you've unlocked for that class, or with abilities from other classes within the same school. For instance, the Arcane Mender and the Chronomancer are both within the Arcane school. If you progress both of those classes to level 4, you could swap out the Chronomancer's first active ability (the haste buff) with an ability from the Arcane Mender. Thus, you'd end up with a kind of hybrid of the two. This kind of hybridization is encouraged by the game itself thanks to the loot you'll acquire as you play. Each class has 4 gear slots and 4 gem slots. The gem slots apply specific attribute boosts to that class, for instance increased damage, increased health, increased damage resistance, etc., and gems are available to all classes regardless of school. The gear slots are locked to a particular school and rather than provide stat boosts, you'll see you three bullet points on each piece of gear. These bullet point represent each of the three talents you'll be able to choose when you hit that particular talent unlock during a match. For example, while playing as the Chronomancer, I found a piece of gear that went into my 3rd gear slot. This gear offered the following choices: a passive ability where I could instantly revive myself once during a match, a new effect for my dodge ability that would root all nearby enemies for a couple seconds, or occasionally my basic attack would be doubled (i.e., I'd shoot two projectiles instead of one). These were different options from the ones on the gear I initially started out with in that slot and offered better choices for how I was playing. The one catch, though, is that I'd only be able to access them if our team was able to clear out a few challenge rooms and level up enough, and that kind of in-match progression is where Breach's co-op shines. 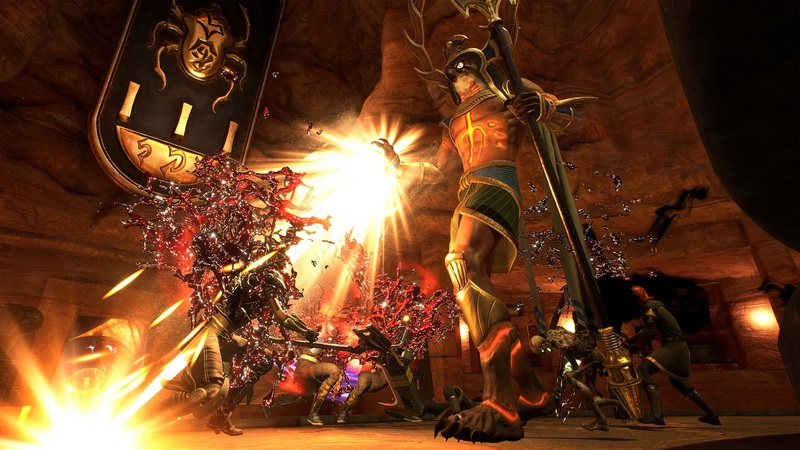 Successfully completing a challenge in a given room requires a lot of teamwork and cooperation as the Veil Demon has abilities to push heroes away from objectives, lay traps that will hinder progress or cause damage over time (essentially keeping heroes away from certain spots for a limited duration), and even summon elite monsters that have unique abilities and do a lot of damage. Remember, the goal of the Veil Demon isn't to kill the heroes (not yet, at least) it's just to keep them from completing challenges so the Veil Demon gets that experience and talent picks. If your group isn't keeping an eye on the Veil Demon is up to and supporting one another, then you will fail challenges (as you can see time and again in the video above). That support goes beyond just calling out targets or "need healing," though, as there is a little synergy with the different classes and their abilities. Sometimes this may be a direct link, such as using an ability to cover enemies in tar to slow them down and another player igniting them to do damage, and sometimes it's more indirect. The best example I have of that is what happened during my play session just prior to recording the interview. I was playing as the Chronomancer and one of the developers was playing as the Auros Gladiator (i.e., Dante). The Gladiator's abilities rely upon them chaining them together in a combo and getting in as many hits as possible within a short span of time. As the Chronomancer, I could buff the Gladiator with my haste spell and then lay down an area of effect spell that would slow all enemies within it. The result was a Gladiator that was able to move and attack much faster than any opponent. If we were up against an elite enemy, then I could amplify that slow down even further by using my signature ability, which shot a beam I could channel as long as I held down the button and would apply even more slowing debuffs. 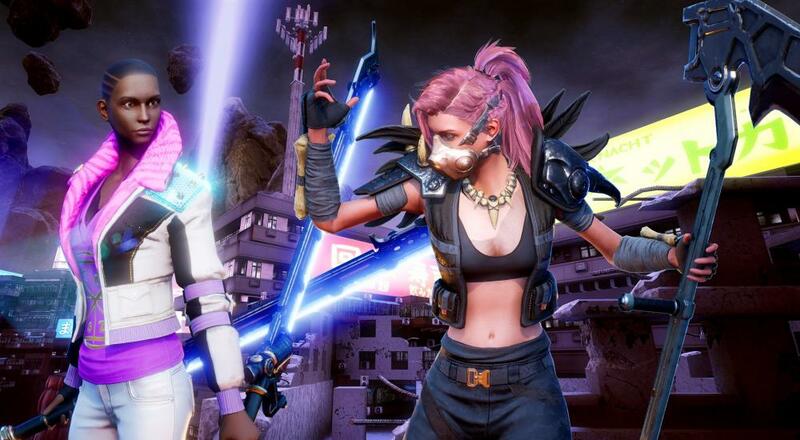 It may not be anything as direct/obvious as two characters clasping hands in a sign of solidarity before proceeding to jointly pummel everything in sight, but it's clear that QC Games is developing the mechanics and systems of Breach from a very clear co-op perspective. I was hooked on the concept of Breach after my first Co-Op match, and wanted to play even more once I dove into the loot and character progression systems. By the time we got around to doing a friendly Custom match where three of us were the heroes and one person played as the Veil Demon, I knew that I would be devoting a better chunk of my gaming time to this once it hits Early Access later this year/early next. QC Games has somehow managed to pull together pieces from successful and failed games alike into something that not only stands on its own but above many of the titles that clearly influenced it. Page created in 0.4823 seconds.